How do I Authorize and Pay an Invoice? 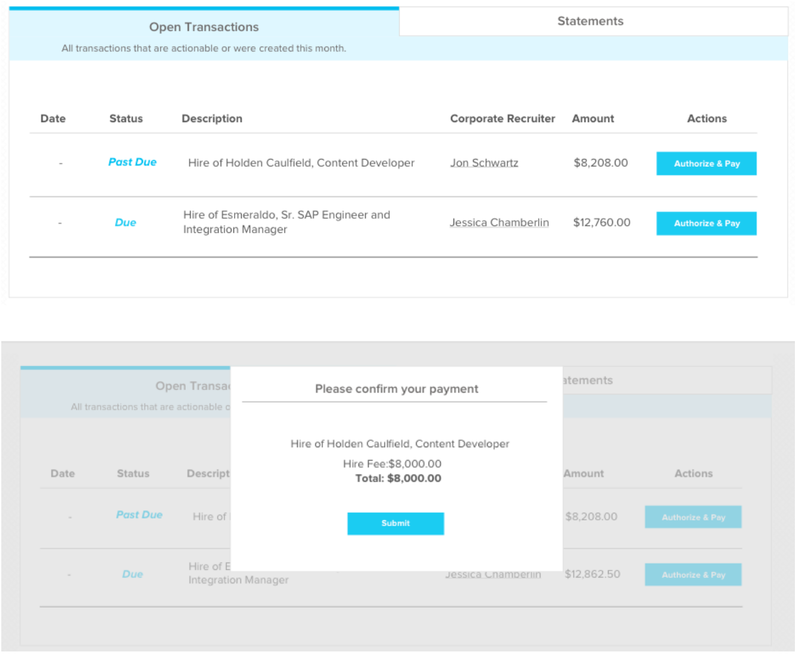 In the Open Transactions tab you will see transactions that have not yet been paid with a blue status of either “Due” or “Past Due” and an “Authorize & Pay”. Review the hire description, the corporate recruiter, and the amount due. Click “Authorize & Pay”. You will have the ability to review all information one more time before paying.